Cyanobacteria are photosynthetic microorganisms using solar energy, H2O, and CO2 as the primary inputs. 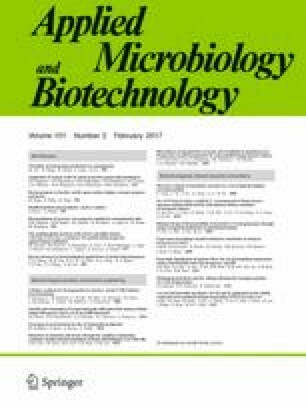 Compared to plants and eukaryotic microalgae, cyanobacteria are easier to be genetically engineered and possess higher growth rate. Extensive genomic information and well-established genetic platform make cyanobacteria good candidates to build efficient biosynthetic pathways for biofuels and chemicals by genetic engineering. Hydrocarbons are a family of compounds consisting entirely of hydrogen and carbon. Structural diversity of the hydrocarbon family is enabled by variation in chain length, degree of saturation, and rearrangements of the carbon skeleton. The diversified hydrocarbons can be used as valuable chemicals in the field of food, fuels, pharmaceuticals, nutrition, and cosmetics. Hydrocarbon biosynthesis is ubiquitous in bacteria, yeasts, fungi, plants, and insects. A wide variety of pathways for the hydrocarbon biosynthesis have been identified in recent years. Cyanobacteria may be superior chassis for hydrocabon production in a photosynthetic manner. A diversity of hydrocarbons including ethylene, alkanes, alkenes, and terpenes can be produced by cyanobacteria. Metabolic engineering and synthetic biology strategies can be employed to improve hydrocarbon production in cyanobacteria. This review mainly summarizes versatility and perspectives of hydrocarbon production in cyanobacteria. This work was supported by the National Science Fund for Distinguished Young Scholars of China (31525002 to X. Lu), the Shandong Taishan Scholarship (X. Lu), the Excellent Youth Award of the Shandong Natural Science Foundation (JQ201306 to X. Lu), the Innovation Leading Talent of Qingdao (15-10-3-15-(31)-zch to X. Lu), SINO-GERMAN Research Project (GZ 877 to X. Lu), and the National Natural Science Foundation of China (31300036 to W. Wang).